Shopping in my jammies is the best! Sponsored post: I was provided a gift card to place an order with Smith's ClickList to write about my experience. Lately, grocery shopping has become a pain. 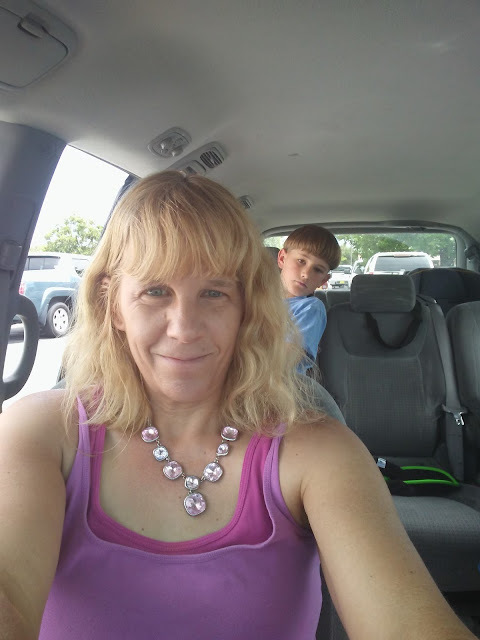 With three boys (one is a teenager) and a husband, it seems like I am always at the store. Many times I also forget items as once I get in the store, I tend to get distracted. Then there are the times when my husband comes to the store with me and many items that were not on my list get into the cart. Now that I am working, I just don't seem to have time to grocery shop. Sure I could go to the store on the weekends/ way too crowded/ or at night but that would mean that I have to get dressed. I have discovered a way to go grocery shopping in my pajamas and I don't have to leave the house! 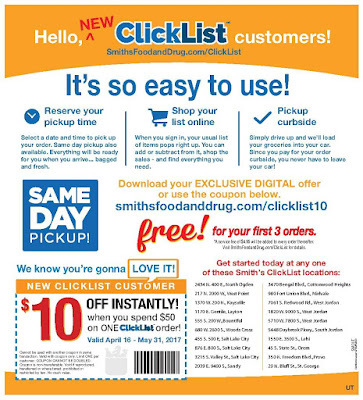 With Smith's ClickList I can shop at 2 AM if I want from the comfort of my home. How cool is that! 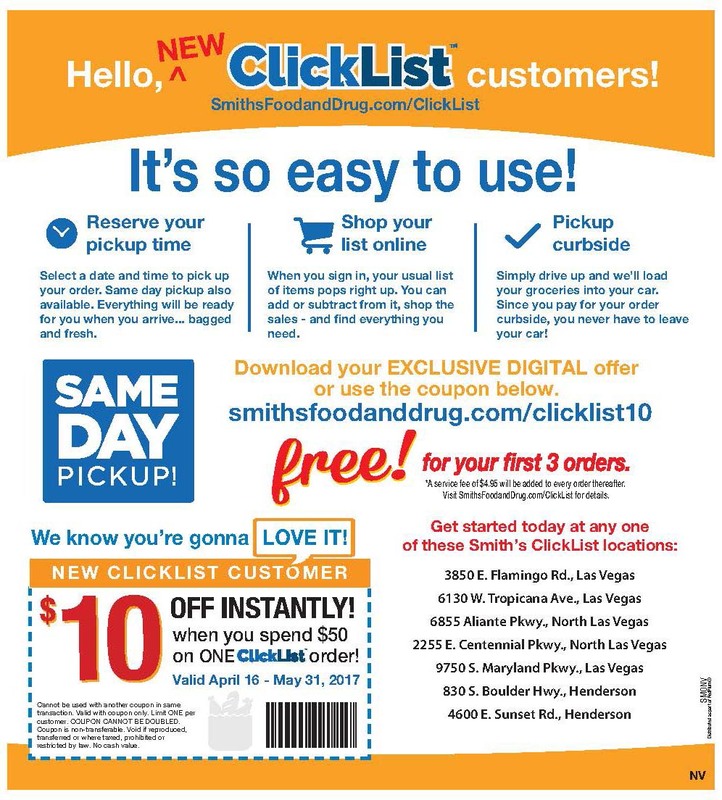 I just had to try this ClickList and being that there is a special promo going on right now with no service fee for my first three orders, I got on my computer to order my groceries. It was so easy to shop on my computer! I love that Smiths allows me to choose the time for picking up my order during the Order pick-up-hours: 7 a.m. to 9 p.m. daily. 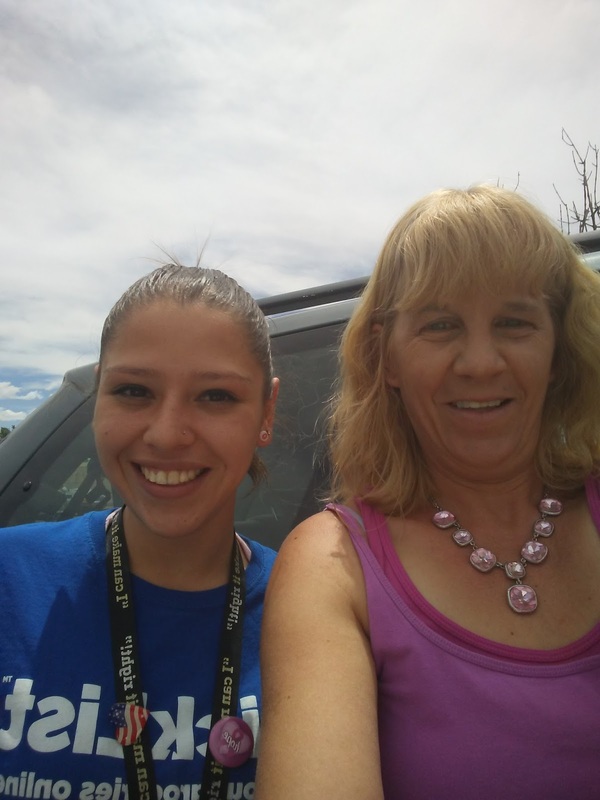 They have plenty of help so they have 15 pick slots available each hour and if those get filled they will open more so you can pick up your groceries when it is convenient for you/not them. Hey, I could even send my husband to pick up the order, after work as there is no way for him to buy junk food since he stays in his car. I was able to get my Friday Freebie with my order. When I went online, I though it would take me forever to select my food but the process was so fast as the search feature helps me find what I want fast. 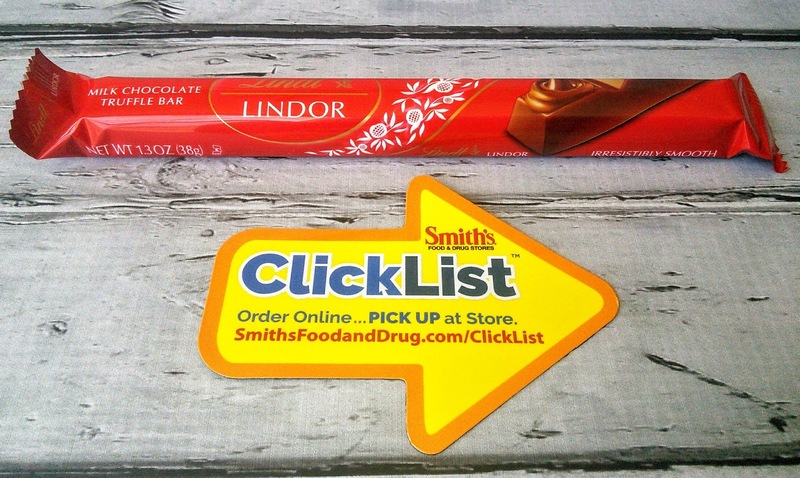 The website evened remember my families favorite foods from my recent store visits when I used my Smith's reward card. The system even applies all my online coupons and in-store savings to my order. I was even able to get my Friday freebie with my order. 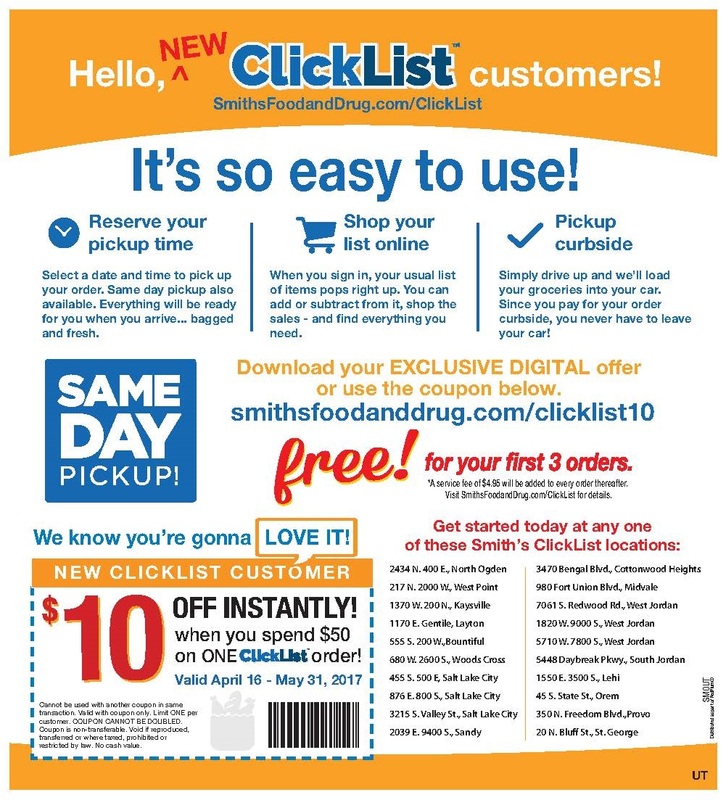 If you have paper coupons, bring them when you pick up your order and the friendly Smith's associate will apply them to your order. 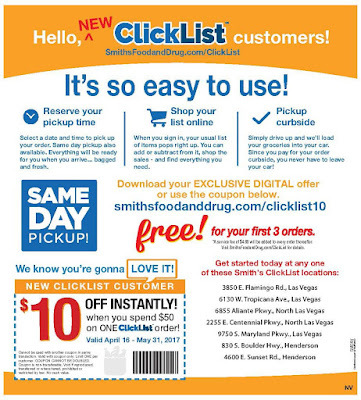 Make sure you print the below coupon so you can save $10.00 off your next ClickList order. 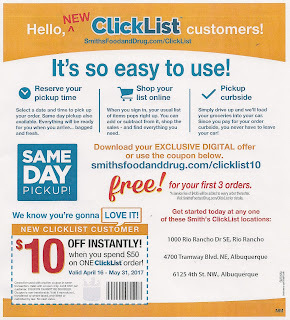 With ClickList I don't have to worry about getting bruised apples or bad meat as Smith's associates are trained to get the best food for your order. They will check to make sure no eggs are cracked and if you would like your avocados ripe/unripe or a special cut of meat, then just ask, as each item you place in your cart has a place to add notes. My son wanted Kroger 32oz vanilla yogurt and the ClickList website only showed plain. So I wrote in the note section that I would like vanilla if available and guess what? The vanilla yogurt was in my bags when I picked up my groceries! So I ordered my groceries on Wednesday and decided to pick them up on Saturday. That just worked for my schedule but I like that Smith's offers same day pick-up. If I needed to change my order, I can do that up until 11:59 PM the night before my pick-up time. I chose my pick up time between 12-1 PM and I can go anytime during that hour. 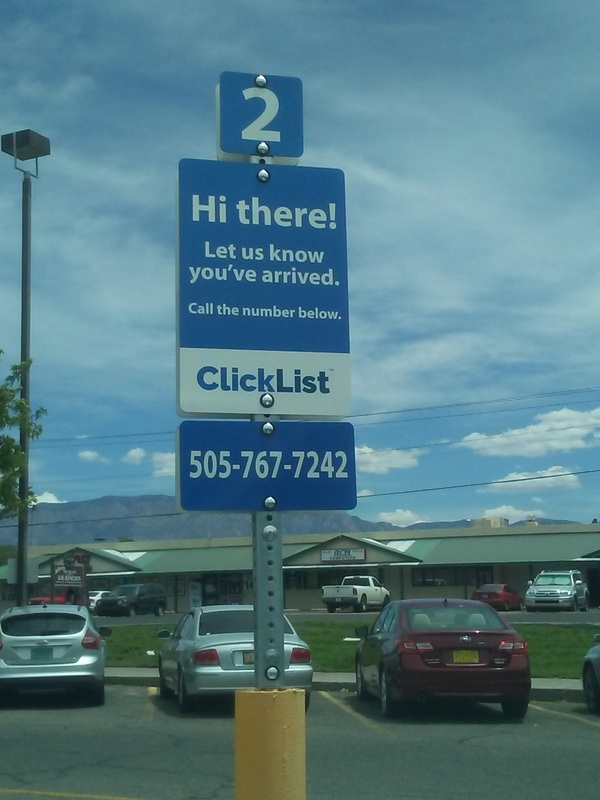 When I arrived at Smith's I immediately saw the ClickList pick up stalls, they had several of them labeled with blue signs. 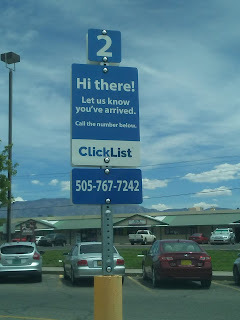 I pulled into a spot and called the ClickList associate- the phone number was on the sign. They brought my order to my car, man they were fast, and went over my order with me. They even brought out a basket of fruit so my son could select a piece just like the free fruit they offer to kids in the store. They would even bring out a dog treat if you had a dog, very cool. They informed me that everything I ordered was in stock but if it was not they would have made a comparable substitution. 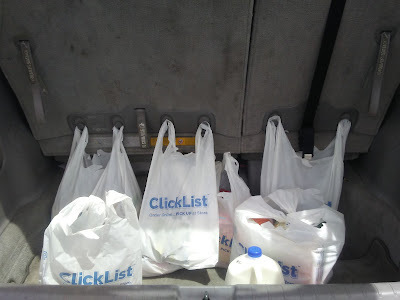 I paid for my order ( right now they are only accepting credit or debit cards) and then the super friendly Smith's associate place my groceries in my car. I did not even have to get out of my car as they opened my hatch up and loaded the bags in. I am loving shopping in my pajamas, ok I did get dressed to pick up my order but if I wanted to drive there in my jammies, Smith's would be cool with that. I think I will use ClickList more often as the $4.95 service fee (waived for your first three orders) is so worth it. I would forgo a frozen pizza to save money for the ClickList service fee. 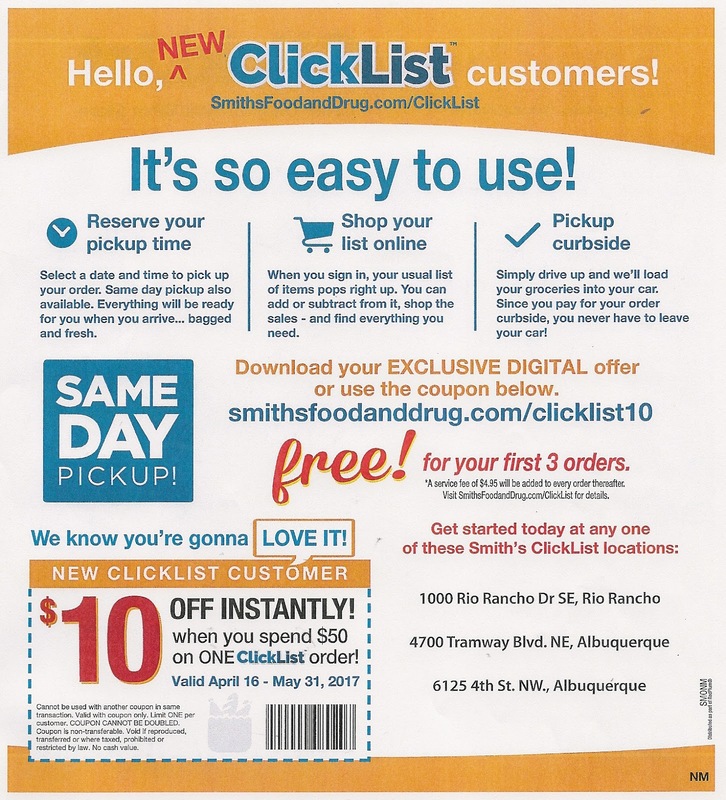 So go to https://www.smithsfoodanddrug.com/onlineshopping and place your first ClickList order. Remember to print the below coupon to save $10.00 off your order, just hand it to the Smith's associate when they bring your order to your car and they will be deducted from your total. I even received a goodie bag for placing my first ClickList order. 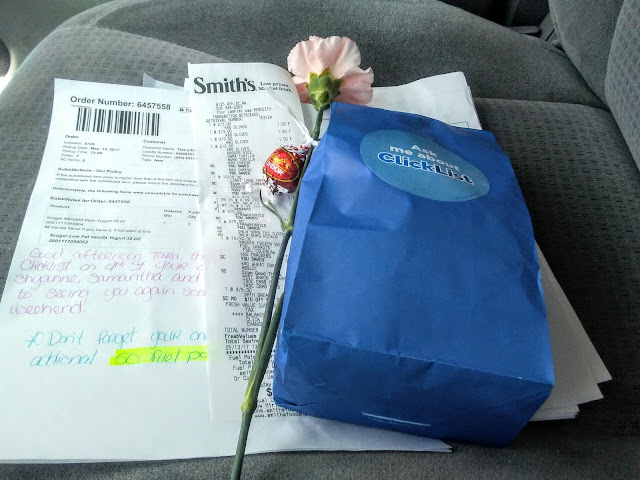 I love that Smiths's gave me a rose and chocolate for Mother's day! That is just plain awesome. I totally want to try this out. How convenient. How cool is this idea! I would love to go shopping in my pjs and have no chance of anyone seeing me. This idea sounds amazing. Online shopping is now normal even here in Asia. And also the feeling of someone knocking on your door for some delivery makes me feel good too! I love the convenience of online shopping, I think it's perfect for parents. It's hassle free and it takes less time. It's definitely something that I would consider. I am all about not having to leave the house to pick up groceries! Love how ClickList makes it easy, all while keeping your personal preferences in mind. Omg how handy is this?!?! 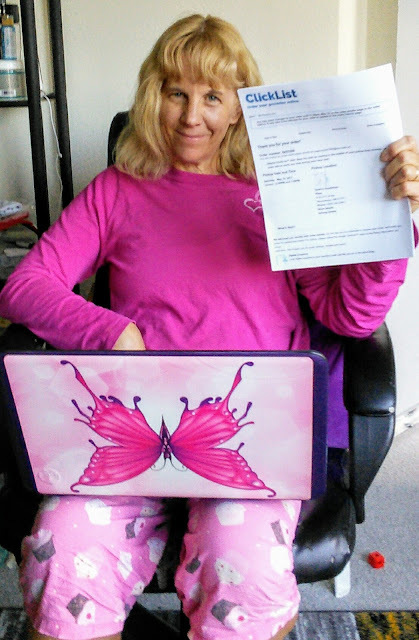 I would love to do my shopping in the comfort of my pajamas!!! This is so awesome! I wish they would do something like that in my town, but we are a small rural town, so probably not, LOL! This is a great benefit. I have not tries this but have used something similar for my son through Amazon. He is in college in Florida. Great post. I will give this a try. I know exactly how you feel about feeling like you're always at the store!! I have four kids (2 teens and 2 toddlers) and I'm pregnant. Not only do I feel like I'm always at the store, but I also don't really want to be at the store because I'm so tired. Lol! I love the service Click List provides for busy moms and dads and just everyone in general!! I need to find a service like this in my city! I wish we would have this service near us. I'd love to shop in my pajamas too! I really like that the system applies aonline coupons and in-store savings to the order.